The oil price shocks of the 1970’s led to severe recessions in the 1980’s in the United States. 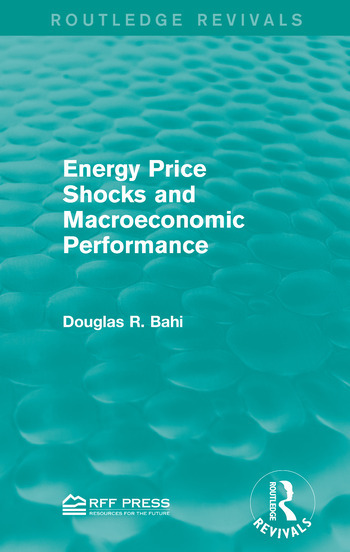 Originally published in 1989 in the aftermath, Bohi attempts to show both how energy prices can cause a decline in output and employment and to explore important other factors which led to the recessions using the US, United Kingdom, Japan and Germany as examples. The findings in Energy Price Shocks and Macroeconomic Performance have major implications for energy policy and questions government plans which focus solely on preventing another oil supply disruption. This title will be of interest to students of environmental studies and economics as well as professionals.